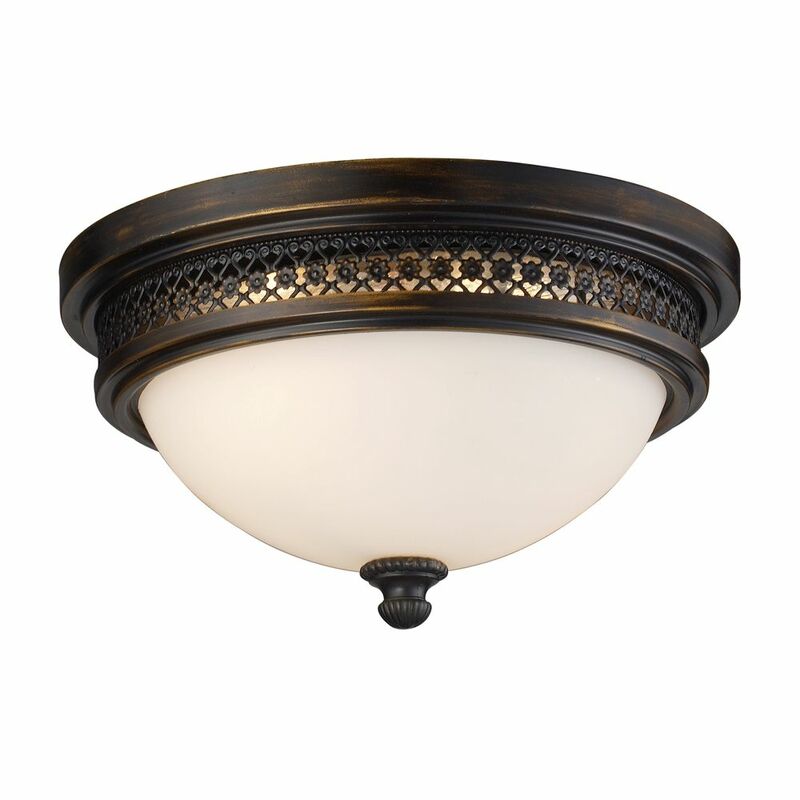 The cornerstone of the satin Collection is quality, and this flush mount is no exception. Combining a classic bronze finish and posh styling, you will find no better way to highlight the charm of your home. With the superb craftsmanship and affordable price this fixture is sure to tastefully indulge your extravagant side. 2-Light Ceiling Mount Deep Rust Flush Mount This Collection Exhibits The Same Beautiful Detailing As A Chandelier, But In A Smaller Size Suitable For Lower Ceilings And Smaller Spaces. Each Item Has An Attractive Banding On Top With White Satin Glass And A Decorative Finial. Various Styles And Finishes To Match Your Dicor. 2-Light Ceiling Mount Deep Rust Flush Mount is rated 2.5 out of 5 by 2. Rated 3 out of 5 by Sue from looks darker then it is The color says deep rust. To me the light looked very dark in the pictures, nearly black with rust colored highlights. When I got the light it was brown brown brown, maybe a medium brown, not dark at all, with some rust highlights. It was not what I was looking for, so I returned it. I did not install the light.